However many varieties of Dahlia I try, there is a core group I always grow and this is one of them. The full-bodied flowers are a vibrant wine-red colour that seem to respond to the slightest change in the light. 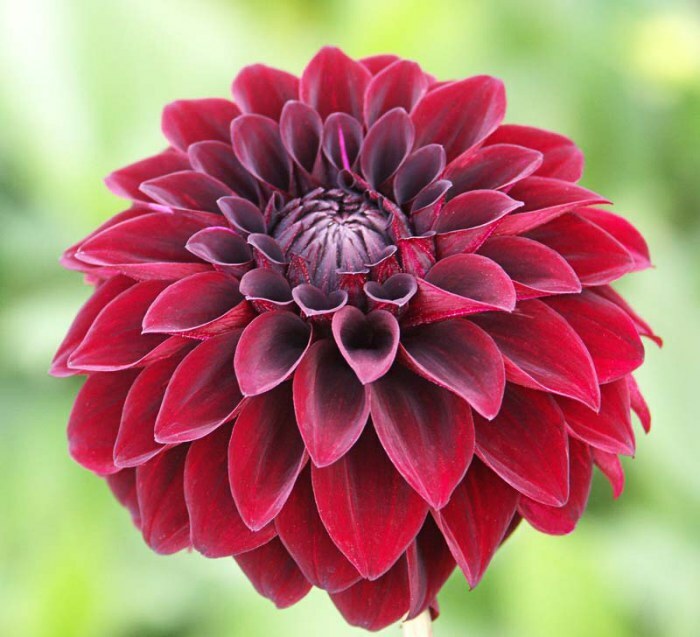 Sometimes the petals appear crimson and at others they are almost black. It starts flowering in August and will still be going in October. Traditionally Dahlias tubers are lifted in the autumn, dried and stored in a cool place during the winter. I plant my tubers deeply (about 20cm) and leave them in the ground. I lose fewer plants this way than by lifting them.